I was once asked by a friend- how is it that I have mothers in different countries and sisters all over the place. The weird part is that they don’t know each other and they only have one thing in common - me. Explain to me… she told me one day. So, I began explaining by quoting an incident that happened to me when I was visiting another country just a few months back. ‘As Salaamu ‘alaykum dear...’ greeted the elderly lady sitting next to me. And she is not alone and unique in that sense. Throughout my trip, I was ‘fought over’ by my sisters-in-Islam whom I just met. Our initial embraces and hugs would be our ice-breaking gestures. These loving hugs made me feel secure and safe with them, alhamdulillaah. And I believe that if I could shrink just one over sixteenth of an inch for every hug I received, I would be so slim and slender by the end of my trip! The kind gestures do not just stop there too. I received so many invites for lunch, dinner, supper and even sleep over at their homes. All these has made my eyes watery too many times and made me realized the wisdom of the teachings of Prophet Muhammad (may Allaah’s peace and blessings be upon him) in shaping the Muslim community. Allaah has promised that on the Day of Judgement, He will shade those who have loved one another just to earn His Pleasure. Just by loving each other we are entitled for His Shades in the Day of Judgement. I cant help but think of how Merciful Allaah is, don’t you think? He didn’t say that we should pray the whole night, or fast the whole year. Instead, He wants us to continue loving each other, taking care of one another to earn His Shelter on the day when human are gathered from Prophet Adam (as) to the last man born, when the sun will be just above our heads and when there is nothing that can be used to cover and protect us from the heat torment except for His Shades. Thinking about it made me realized how beautiful this deal is for Muslims. Because Muslims love each other for the sake of Allaah, they would earn at least two rewards. The immediate one is His Pleasure and the second reward would be their ‘booking for a spot’ to be under His Shade in the Day of Judgement, inshaAllaah. This is among the values that Prophet Muhammad (may Allaah’s peace and blessings be with him) has instilled in the Muslims’ hearts. He has removed the barriers of race, ethnicity and prejudice that would usually become a hindrance when people from different races, ethnicity or countries met. He put in their hearts love and cares for others even before they know them. He was absolutely right! And we must avoid becoming fools at any cost, you agree? Islam has long taught its followers the concept of love between human- brotherhood and sisterhood from the very beginning. Allaah has clearly stated that all Muslims are brothers, one single brotherhood. 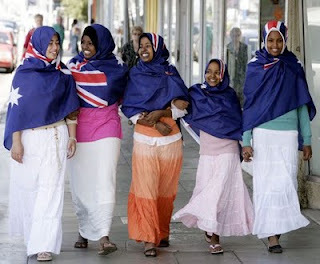 Muslims, regardless where they are from, are considered as one. We belong to the same community- the Muslim community. That was why I was accepted very quickly into the lives of the sisters whom I just met. We all knew that we are one- one family, one unit. Naturally, as one family, Muslims are asked to be kind and compassionate towards one another. Prophet Muhammad (may Allaah’s peace and blessings be upon him) used the parable of a human body to explain what he meant by brotherhood in Islam. This interesting analogy is a perfect one. Let us see why Prophet Muhammad (may Allaah’s peace and blessings be upon him) brilliantly used human body to explain the concept of brotherhood to us. 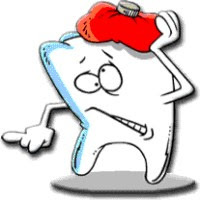 Take for an example we have a toothache. With it comes headache too, right? This is because the nerves from our teeth are all connected to the brain thus causing the headache. And with headache, we really need to rest. So, would we still be able to be chatty, giggling away or continuing our daily chores when we have toothache or the whole body feels the discomfort and need to rest? Still on headache, logically, when we have it, the only body part that is in pain is our heads right? Of course there are multiple reasons for headache like toothache, tension and stress, tumor in the brain or even hot weather. Headache happen because the center of all the nerves in our body is in the brain, thus, if even one body part is unwell, it sent the signal back via the nerves triggering the pain sensation which makes us want to stop doing whatever we were doing and lie down. What will happen if say, we have diarrhea? The affected body organ is only Mr. Colon, you agree? But, as we all know, if we have diarrhea, all that we would want to do is just rest as the whole body is in discomfort. Ever wondered why? It is because fluid from the body circulation is lost in the colon making us tired, weak and dehydrated. We can even die from it. That is how severe the impact is. For the ladies, despite the monthly menstrual pain that comes from one organ, this pain will cause backache, soar muscles and cramps all over our body, you agree? So, that is the love that all Muslims must have for each other. When we see another Muslim in difficulties, the pain must creep into our hearts too. If we see tears of another Muslim, our hearts should be crying too. The joy felt by our brothers, should be our personal joy too. Muslims are a single brotherhood, loving each other to earn His Pleasure and should be so kind and compassionate towards one another that when one Muslim is suffering, facing hardship or in sadness, the others would felt it too. And when one is bursting with happiness, we should be that too. 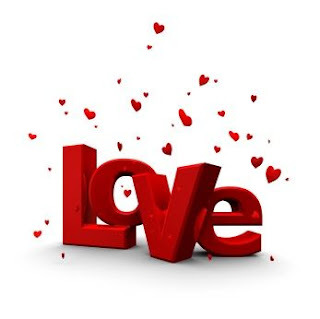 Now, isn’t this what we want to call love? 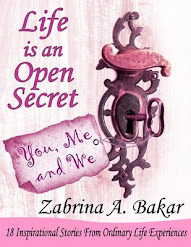 Zabrina A. Bakar, is a Life Storyteller, motivational writer and speaker; and author of Islamic motivational book Life is an Open Secret (www.lifeopensecret.com) which contains 18 inspirational stories from ordinary life experiences. 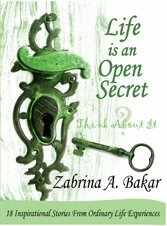 She passionately writes about life daily happenings, viewed and analyzed from unique perspective, blended with the Qur'anic verses and Hadeeth of the Prophet SAW for solutions to illustrate the easiness, simplicity, relevancy and completeness of Islam to today's world. Her works are published various countries across the Muslim world. She maintains an active blog at www.wisdomthruwords.blogspot.com. can i copy n fwd this to my frens? dun worry, i'll paste ur link as the source as well. Thanx a lot sis. realy hope one day we can meet.